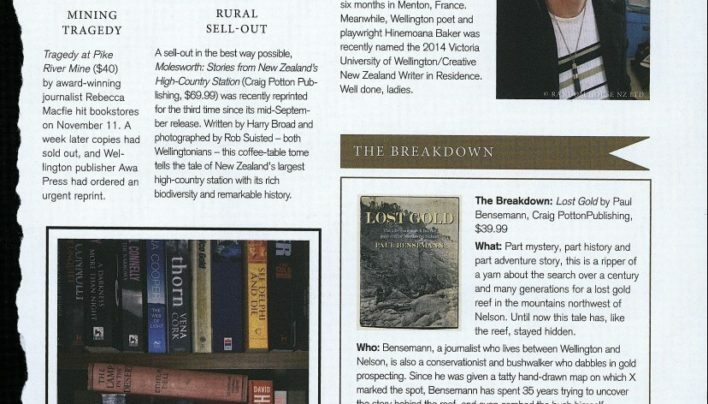 The mysterious bookshelves of a mystery-loving mystery bookseller form the basis of our advertisement in the December 2013 issue of Capital magazine. 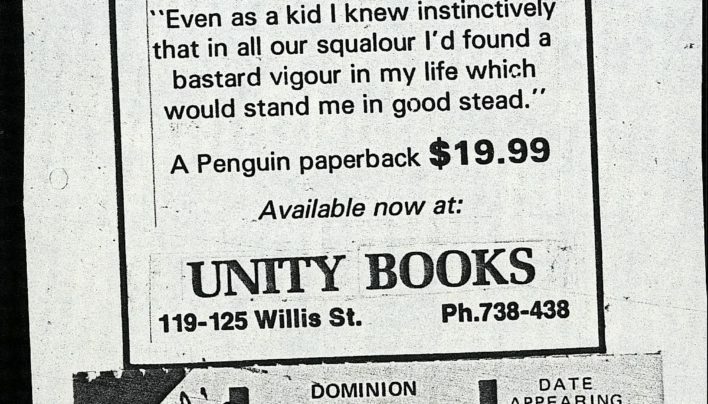 Proof for an advertisement Unity Books and for Glory Days by Rosie Scott (Penguin Books), destined for publication in The Dominion. 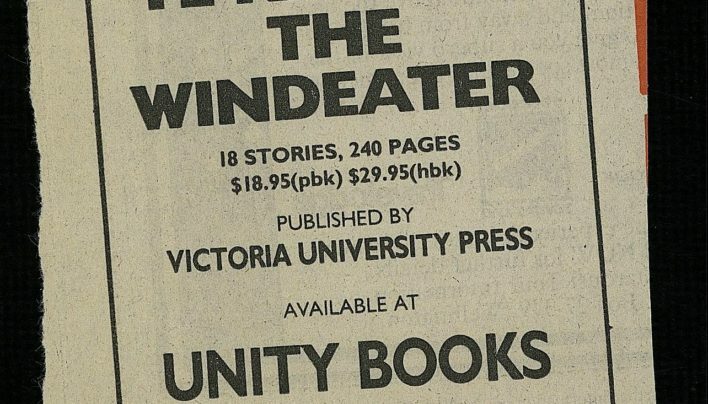 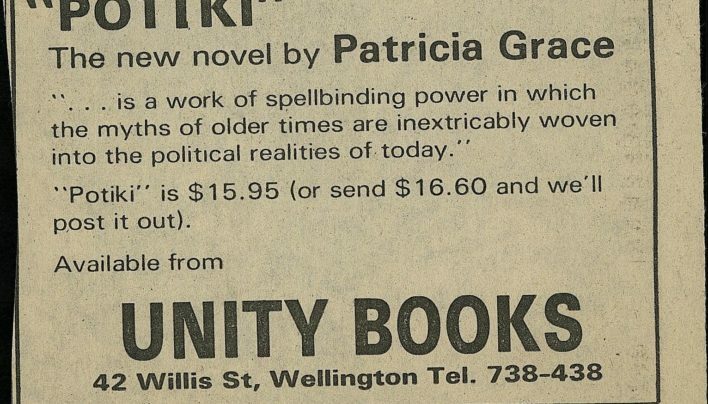 An advertisement from 1986 for Unity Books and the just-published Potiki by Patricia Grace. 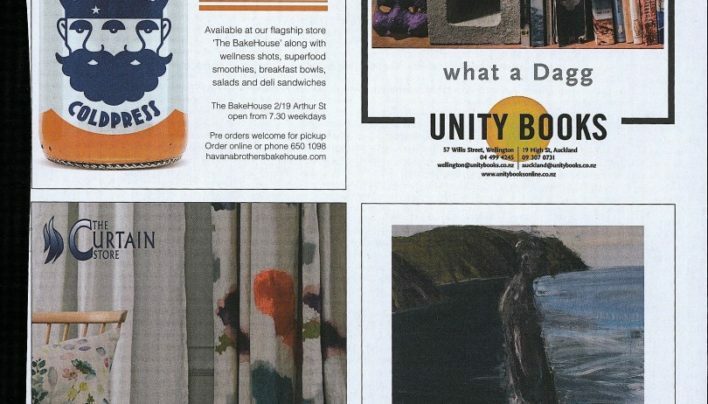 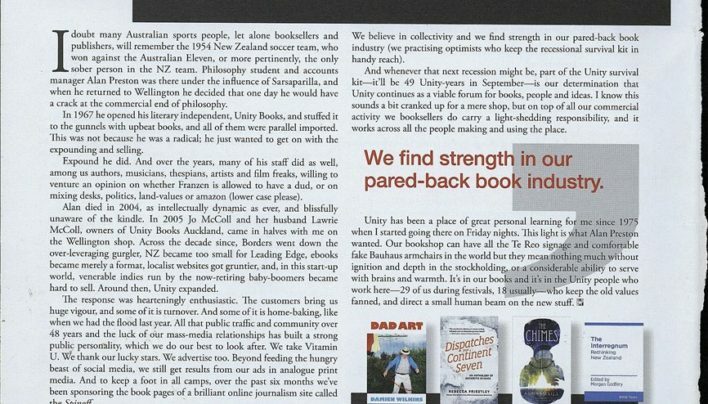 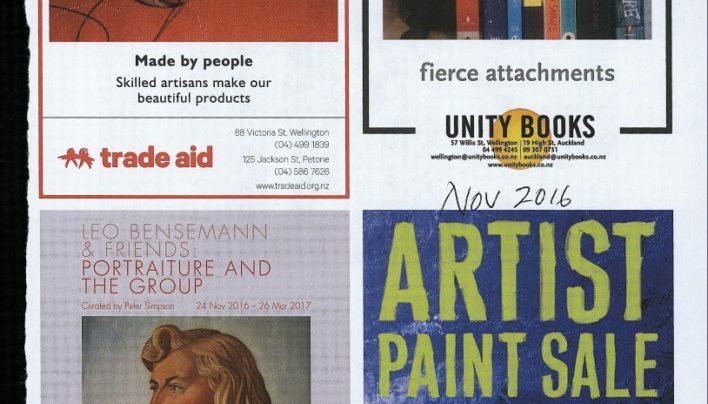 A feature about Unity Books in Australian booktrade magazine Books + Publishing by Tilly Lloyd places the shop in context within its community and the wider trade. 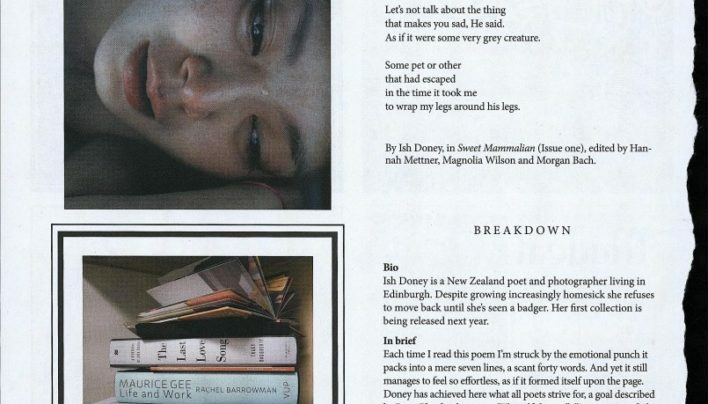 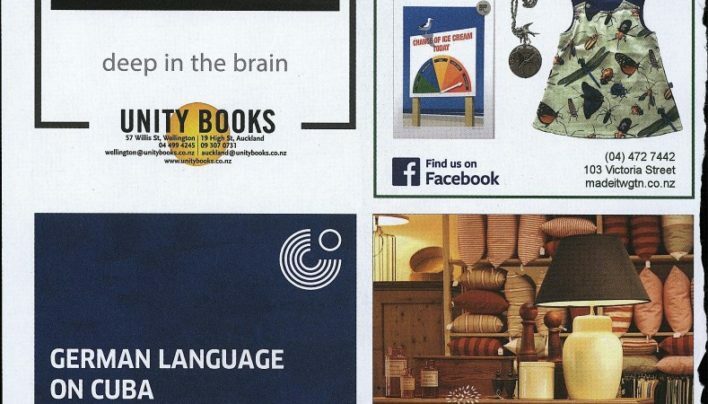 The books in this advertisement from Capital magazine’s December 2016 issue float Hera Lindsay Bird’s (paper) boat. 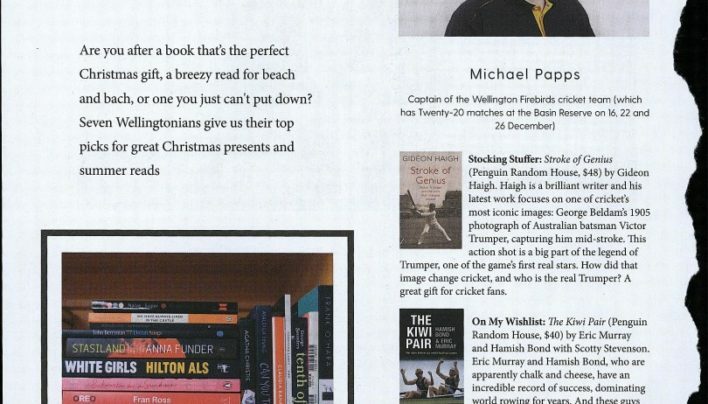 A portrait of one of Tilly Lloyd’s piles of books makes up our advertisement in a summer 2016 issue of Capital magazine.